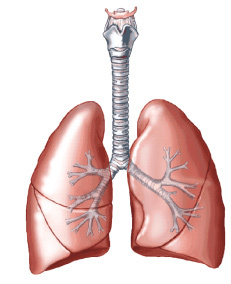 Lungs are the main organs of respiration located in the chest cavity. They are protected by 12 pairs of ribs. The right lung is divided into 3 lobes: upper, middle and lower lobes. The left lung is divided into upper and lower lobes. Normal lungs are soft and feel like a sponge. The lungs perform the vital function of taking in oxygen from the air and getting rid of carbon dioxide. In this manner, lungs provide oxygen to all the tissues of the body, which is used to produce energy. Carbon dioxide is a waste product in the gas exchange, the chemical reaction in which the lungs remove this harmful gas. In some severe diseases, lungs are affected and as a result are unable to perform the important function of oxygen uptake and removal of carbon dioxide. As a result, tissues are unable to get enough oxygen and harmful gas such as carbon dioxide builds up in the blood. When a person develops end-stage lung disease from any of the above reasons, he or she might experience shortness of breath, cough, phlegm, dizziness and fatigue. Supplemental oxygen delivered via a nasal cannula can help patients to breathe better. Patients who have severe lung disease might be candidates for lung transplantation. This is a major surgical procedure where the surgeon replaces one or both lungs with healthier donor lungs. Lung transplantation might be an option when the lung disease continues to get worse despite all medical treatment. Lung transplant recipients can have a normal quality of life with a single lung transplantation. For a person to be a candidate for single or double lung transplantation depends on many factors that include: prior surgery in the chest, the diagnosis, presence or absence of pulmonary hypertension, presence of infection and proportion of blood flow to the lungs. The medical and surgical teams will determine this. Our team will provide you with the risks, benefits and alternatives of lung transplantation so that you can make an informed decision. The benefit of lung transplantation includes less shortness of breath, better quality of life and longer life. On the other hand, the problems with lung transplantation include transplant medications that have to be taken for the rest of your life to prevent rejection, regular follow-up with the transplant team, as well as risks of adverse effects, infection, and certain cancers from anti-rejection medications. Lung transplantation is a very difficult life-changing experience. Our team consists of surgeons, physicians, nurse coordinators, nurse practitioners, dieticians, social workers, physical therapists, pharmacists and psychologists who are here to answer your questions and guide you through this process. We want to help in making this a safe and effective transition for you. Patients with advanced lung disease could be considered for lung transplantation if they understand the above responsibilities. If you are interested in lung transplantation, please talk to your pulmonologist. We will collaborate with your pulmonologist for further evaluation. Once your pulmonologist’s office is able to send us the referral, we should be able to see you within a couple weeks in the lung transplant clinic. History and physical done in the past 12 months. Notes of recent office visits with the pulmonologist. Recent pulmonary function tests that include spirometry, lung volumes and diffusion capacity. Recent chest x-rays (can be provided in CDs). Recent and past CT scans of the chest if any (can be provided in CDs). Current weight, height and BMI. Smoking history and date of smoking cessation. Pathology results of any lung biopsies performed in the past. This would include transbronchial biopsies or open lung biopsies. Recent blood work that would include CBC and CMP. Results of any recent tests on the heart that include EKG, stress tests and angiogram. Active smokers are not candidates. Potential recipients should be nicotine-free for at least six months or more. This includes smoking nicotine, chewing nicotine, nicotine patches and e-cigarettes. Lung cancer or any cancer within the past five years (except skin cancers other than melanoma). Severe debilitation requiring nursing home facility or extended care facility. Lack of strong care provider plan. Severe deconditioning as a result of which patient is unable to walk at least 900 feet in the six-minute walk test. Active Burkholderia cepacia infection in cystic fibrosis patients. Infections with multi-drug resistant gram-negative rods in cystic fibrosis patients. Body mass index (BMI) less than 18 or greater than 30. Active Mycobacterium tuberculosis or nontuberculous mycobacterial infections. Severe esophageal involvement in connective tissue diseases. Active alcohol use or other substance abuse. Advanced heart, kidney, liver disease. We highly recommend that you identify at least two care providers for your care before and after transplantation. Before transplantation, this person would be the one who will drive you to the hospital once we have a potential donor. The surgeon will contact this care provider once the surgery is complete. The typical stay in the hospital is 2-3 weeks after lung transplantation, with many patients being discharged sooner. After the initial recovery in the hospital, the lung transplant recipient is discharged to local housing in Gainesville and surrounding areas. We have a patient centered care model with our goal being to discharge patients home as soon as it is safe for them to return home. Your social worker will help with accommodations for this housing. The patient will be unable to drive for at least 3 months after being discharged from the hospital. The role of the care provider is very important after the lung transplant recipient is discharged from the hospital to the local housing. The care provider could be either family or friends who could help the patient recover in local housing while the patient attends physical therapy. In addition to helping drive the patients to pulmonary rehab appointments, the role of the care providers is to make sure that the patient is able to take all his or her medications regularly at the appropriate time. The care provider will also be responsible for bringing the patient to get laboratory tests, chest x-rays and appointments with the lung transplant team at the post-transplant clinic. We recommend that the patient identify at least two care providers who could take turns in providing the above care for the lung transplant recipient in the immediate post-operative recovery. The care provider will also be providing emotional support as the recipient goes through this process. They could also act as an advocate for the transplant recipient. The one-year survival rate after lung transplantation is about 85-90 percent. The five-year survival rate after lung transplantation is about 55-60 percent. However, these rates might vary over time and from one center to the other. Please refer to the United Network for Organ Sharing and the Organ Procurement and Transplantation Network websites for more updated information. When you arrive for your first visit at the lung transplantation clinic, you will meet our pre-transplant coordinator who will provide you with lung transplant education. We recommend that you review the material provided on the website thoroughly. You will be provided many opportunities to ask questions to the different members of the lung transplant team. The initial appointment lasts for several hours and includes meetings with the pre-transplant coordinator, surgeon, and lung transplant physician. We request that you bring adequate amount of oxygen for this visit. When you are in the facility, you will be able to use the oxygen at the different outlets in the consultation room. During this lung transplantation education, the coordinator will educate you about lung transplantation, the surgical procedure, the need for lifelong medications after transplantation, the adverse effects of medications and the need for strong social support. In addition, the coordinator will also provide information about care after lung transplantation and the need for frequent follow-ups after transplantation. You may be also be asked to perform pulmonary function tests, a six-minute walk test and basic blood tests that include CBC, CMP and a CT scan of the chest if they have not been updated in the last six months. These tests would be typically done prior to your consultation with the lung transplant team. During this consultation, the lung transplant physician will review all your records that you have previously provided, examine you and discuss with you the risks, benefits and the alternatives of lung transplantation. The lung transplant physician will then determine if you would be a suitable potential candidate for lung transplantation. If you are deemed to be a suitable candidate, the next step would be to obtain consents for the evaluation process. Once you sign the consents for evaluation, the pre-transplant clinic will schedule you for the four-day evaluation process. In order to determine if you are a candidate for lung transplantation, a comprehensive evaluation is performed at our center. 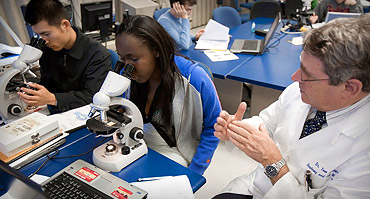 This evaluation includes a series of tests and consultations, which are spread over a period of four days. The pre-transplant office will provide you with this schedule. Patients who live several hours away from Gainesville should plan to stay in a hotel during their evaluation. You will need to plan for oxygen use while you are in Gainesville. The hospital will allow you to use oxygen outlets during clinical testing, where available, but you need to bring enough tanks for traveling within the hospital and in your hotel room. If you are not sure what amount of oxygen to bring, ask your local oxygen provider to help you. Your primary caregiver must accompany you during this process. A primary caregiver is someone who has been designated as your main support person and must be present for all aspects of the transplant process (pre and post-transplant). This person will be responsible for many aspects of the process and will need to attend pre-transplant evaluation, clinic appointments and bring you to the hospital for the surgery. Surgeon: The surgeon will discuss the surgical process with patient, determine any contraindications to the process, explain the risks benefits and alternatives to procedure. The surgeon will also obtain informed consent for surgery, discuss the option of XVIVO consent, if applicable, and answer any concerns that you or your caregiver may have. Physical Therapy Assessment: Your overall strength and endurance will be assessed after taking an endurance, strength test and a six-minute walk test. Recommendations and techniques to exercise safely and efficiently with advanced lung disease will be provided. Financial Liaison: Our financial liaison will provide an assessment if your insurance can provide coverage for surgery, post-operative care, immunosuppression medications, bronchoscopies etc. Pharmacist: The pharmacist will review your current medications, allergies and intolerances. He or she will also provide assessment of post-op insurance coverage for your medications, as well as discuss with you the immunosuppression and antimicrobial medications and their adverse effects. Social worker: The social worker will assess the adequacy of caregiver support after transplantation, as well as identify any potential barriers to post-operative care and recovery. Psychology: Will assess for any psychological barrier for transplantation. Assess understanding of the transplantation process by the patient and care giver. Once all the above tests are completed, a multidisciplinary team that consists of surgeons, physicians, social worker, financial liaison, rehab specialist, pharmacists, psychologists, nurse coordinators and dietician meet to discuss your candidacy. You and your referring pulmonologist will be made aware of the committee’s decision in writing. If approved by the multidisciplinary committee you will be placed on the wait list. The committee would also make a decision as to whether you will be listed for a single right, left, either or bilateral transplant depending on your medical condition, prior surgeries and the results of your testing. The pre-transplant coordinator will call you to inform this. Once you are listed, a lung allocation score (LAS) will be assigned to you determining your priority. This is calculated based on many variables that include your diagnosis, oxygen requirement, pulmonary function test, six-minute walk test, creatinine and right heart pressure. In case we are unable to list you, the reason will be provided. We can refer your case to a different lung transplant center with your permission. There could be several reasons that you could not be listed at our center. Some of them include history of cancer, being too sick or frail for transplantation and other end stage organ issues like poor kidney function, multidrug resistant bacteria, BMI being too high or too low or lack of reliable social support. You can be listed for lung transplantation at more than one center, but this does not guarantee that your wait time will be shorter. You will have to complete the evaluation process at the other center and meet the criteria for listing at that center as well. Our pre-transplant coordinator will be your main contact person until your lung transplantation. This coordinator will answer your questions, keep your testing updated and provide any clinical updates to the team. After being listed for lung transplantation, we will be seeing you every couple of months in the pre-transplant clinic and determine if there is a need to update any testing. We will also update your LAS should there to be any change in your clinical status. In the interim should there be any change in your clinical situation or a need arise to be admitted to the local hospital, we request that you keep us informed. We strongly recommend that you stay physically fit while waiting for lung transplantation so that you could recover quickly after the surgery. We also recommend that you enroll in pulmonary rehab program close to home. Please talk to your local pulmonologist regarding this. We have zero tolerance for nicotine use and for other substance abuse. We may perform random tests and in case there is a positive test we may deactivate the listed patient from the wait list. Potential recipient is required to be nicotine-free for six months or more. This includes nicotine smoking, nicotine chewing gum, nicotine patches and e-cigarettes. Potential recipients are also required to stop all alcohol use, narcotics, and benzodiazepines prior to being listed. The lungs for you will need to come from a donor with compatible blood group and height. Hence, the wait time for lung transplantation is highly variable. Some patients have received a lung transplantation within 24 hours of being listed while others have waited several months. Not all deceased donor lungs are suitable for transplantation as some have lung injury and infection. We request that you keep the lung transplant center updated of your current phone numbers and that you be reachable anytime of the day or night. If we are unable to reach you within one hour, we will be obligated to offer these lungs to the next candidate. We also request that you do not screen the phone calls as some of these calls from the donor coordinators might originate from the hospital and not have an origination telephone number. 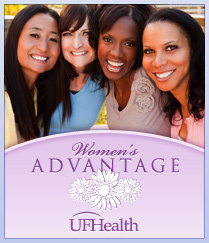 Please have a driver available to drive you to the UF Health Shands Hospital. We recommend that you stay within a four-hour driving distance of the hospital. Changes in your cell phone number or contact address. Changes in the dose of prednisone. Changes in clinical condition requiring admission to the local hospital or emergency room. Any worsening of clinical symptoms. Any increase in oxygen flow rate. Any changes to your health insurance. Any blood transfusion or transfusion of any blood products. Stay healthy while waiting for your lung transplant. We strongly recommend that you stay healthy while you wait for your transplant by incorporating a healthy diet, exercising, attending a pulmonary rehab prior to transplantation and maintaining your BMI less than 30. Continue routine medical care with your primary care physician. Stay mentally and emotionally healthy. It is important that you stay mentally strong during this difficult period. Attending support groups that are conducted on Wednesday afternoons by our coordinator and social worker helps. Our team can provide you with the times and location of these meetings. These meetings provide a good forum for you to share your feelings and emotions with other patients like you. If you are overwhelmed with your emotions, we request that you talk to our social worker who can provide you with more resources and refer you to our mental health professionals for counselling. Our dietician will provide a thorough evaluation of your diet. We recommend that you eat a healthier diet. If your BMI is lower than 18 or greater than 30, our dietician will provide you with dietary plan to gain or lose weight. Adequate protein should be part of your meal to have a balanced diet that would prevent muscle loss and help your breathing muscles. If you have gastroesophageal reflux we recommend that you have early supper. Provide three hours between evening meal and going to bed. Avoid snacking before bedtime. Keep head end of bed elevated with a wedge pillow. Once you are listed for a lung transplantation, we recommend that you keep a packed bag all the time. You could get a call for lung transplantation any time of the day or night. Make sure you keep the lung transplant center updated of your current phone numbers and that you be reachable anytime of the day or night. If we are unable to reach you within one hour, we will be obligated to offer these lungs to the next candidate. We also request that you do not screen the phone calls as some of these calls from the donor coordinators might originate from the hospital and not have an origination telephone number. We recommend that you stay within a four-hour driving distance of the hospital and have a driver available to take you to the UF Health Shands Hospital. In case we identify a suitable donor for you, one of our donor coordinators would call you and provide several hours lead time for you to drive to University of Florida Shands Hospital. Please follow the instructions provided by the donor coordinator very carefully. You will be instructed to stop eating and drinking. Wear your seat belt and drive safely. 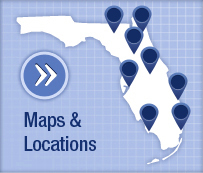 You will be provided the location where you need to arrive for your surgery. Usually it is to the cardiothoracic intensive care unit. Some blood tests and chest x-ray may be performed when you arrive in preparation for surgery. Please keep in mind that when we notify you of a potential donor, a surgical team will be dispatched to procure the lungs. In case the lungs do not meet our high standards, the surgery might be canceled and you might be requested to return home (this is also known as a dry run). Therefore, make sure you have adequate oxygen for your trip to UF Health Shands Hospital as well as possibly from the hospital. Once you arrive in the UF Health Shands Hospital, you will be directed to go to the cardiothoracic intensive care unit. Once admitted to the ICU, blood tests, chest X-ray and an EKG will be performed. You will be instructed not to eat or drink in preparation for the surgery. The ICU staff will perform a history and physical examination. Reconciliation of all home medications as well as allergies will be part of this physical examination. The surgical team will obtain your consent for transplant surgery. Anesthesia team will be consulted. Your family members and care providers will be instructed to wait in the waiting area while you undergo evaluation in the ICU. The wait time between arriving in the hospital and you being taken to the operating room is highly variable. In some cases, it is very quick and in other cases, it might be several hours. All potential donors are thoroughly screened for any infection that might be transmitted from the donor to the recipient. This screening process includes blood tests, cultures, chest X-ray, bronchoscopy and a CT scan. These tests are performed to minimize transmission of diseases like HIV, hepatitis B, hepatitis C, sexually transmitted diseases and other pneumonias. The Center for disease control CDC in Atlanta defines a small group of donors as high risk donors. This group of donors include donors with exposure to HIV, prison inmates, history of prostitution, IV drug user, high-risk sexual history and hemophiliacs receiving transfusions. When we come to know that the potential donor is considered high risk donor, we request additional testing called nucleic acid amplification testing (NAAT testing) of the donor to screen for HIV and hepatitis. In case these tests are negative; a team member is obligated to call you and let you know that your potential donor is considered high-risk donor. You have the option to decline this donor. Refusing to accept a high-risk donor may increase your wait time for lung transplantation. Your risk of dying from a worsening lung condition might be higher. On the other hand, the risk of transmission of a disease from a donor whose NAAT testing is negative is very low. You should discuss this with your lung transplant surgeon and pulmonologist very carefully. In case you accept lungs from a high-risk donor, we will continue to test for HIV, hepatitis B and hepatitis C every three months for a period of two years after lung transplantation. You will be provided with sedation. Once asleep, a tube (endotracheal tube) will be placed in your airway (intubation) and you will be connected to the ventilator, which will breathe for you during the surgical procedure. You will also be administered anesthetic gas via the ventilator and endotracheal tube. You will be unconscious from the anesthetic medications and unaware of pain. An arterial line to monitor you blood pressure closely will be placed in the wrist. A large bore IV line will be placed in the neck. This will also help monitor pressure in your heart (PA catheter). A nasogastric tube to decompress your stomach is placed. A Foley catheter to monitor your urinary output is placed. Patients who are hypotensive and need additional support are placed on cardiopulmonary bypass (CPB) machine or extracorporeal membrane oxygenators (ECMO). These machines increase the risk of stroke and bleeding slightly. In very few patients, ECMO support might be needed for the first couple of days after the lung transplantation surgery, as the new donor lungs might be slightly inflamed. One lung is deflated and removed and a healthier donor lung is replaced. During this process your breathing is supported by the other lung. In patients undergoing double lung transplant, the process is repeated on the other side. In about 40 percent of the patients, there would be requirement of CPB or ECMO. The type of surgical incision depends on the number of lungs being transplanted, the need for ECMO or CPB. 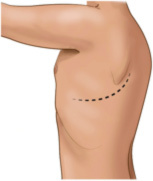 Typically, for a single lung transplantation a lateral thoracotomy incision is made. On the other hand for a bilateral lung transplantation a clamshell incision is made. The clamshell incision begins in the lower third of the breast bone and extends underneath both breasts. This requires cutting through the lower third of sternum. This might also cause some minor fractures of the ribs. 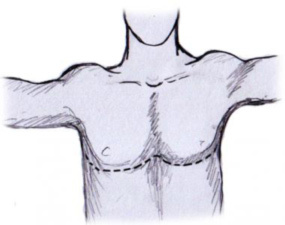 Once all the required surgical connections are made on each side, the chest is closed in layers. Two chest tubes are placed on each side. These tubes help to keep the lungs inflated and drain the fluid from the chest cavity. At this point, the ventilator continues to breathe for the recipient. The patient is transferred to the intensive care unit for further recovery. Typically a single lung transplantation takes anywhere from 4-6 hours and a double lung transplant takes anywhere from 8-12 hours. As this is a big and long surgery, the potential complications include bleeding, infection, stroke, heart attack, kidney failure, liver failure and even death. Recipient arrives in the ICU on the mechanical ventilator. The care of the patient is handed over to the intensive care unit pulmonologist. A bronchoscopy is performed to evaluate the anastomosis and to obtain cultures. The patient continues to be on IV medications to support blood pressure. Once the blood pressure stabilizes, the sedation is lightened up and the recipient is allowed to wake up. The lung transplant recipient will notice considerable amounts of pain when they wake up from the sedation. Pain relief is provided by IV narcotics. Paravertebral catheters and epidural catheters are also placed by the anesthesia team in the back, close to the spine to provide pain relief for the next couple of days. Once the catheters are removed oral pain medications are initiated. The ICU staff will perform tests to evaluate if the recipient is ready to breathe on his/her own. In the majority of the cases, the breathing tube is removed in the first 24-48 hours. A small number of patients might need ventilator support for a longer duration. Few patients are very weak, fatigued by the time of transplantation and need some extra help to breathe. These patients will require tracheostomy and ventilator support for several weeks after lung transplantation. The typical stay in the ICU is about a week after lung transplantation. After the breathing tube is removed, the patient is encouraged to cough, sit up in chair and ambulate in the ICU. Patient is instructed to use incentive spirometer to expand the lungs, prevent collapse of the lung lobes and mobilize secretions. Bronchoscopy is also performed to clear the secretions from the airway. The recipient will have two chest tubes on each side. Each of these tubes are removed sequentially over the next several days. Once the clinical condition stabilizes, the recipient is transferred to the floor. The patient also participates in daily physical therapy at the rehab center. The transplant coordinators will provide education about the immunosuppression medications. The typical stay is about 1-2 weeks on the floor after which the patient is discharged to local housing. You will be provided prescriptions for the new medications. You will be provided with instructions and education on the new medications. A prescription for blood a glucose monitor if required. Education on how to check your blood sugars. Instructions on wound care will be provided. You will be provided with the contact information for your coordinator as well the phone number to call after hours in case you have any questions. Details of spirometry testing, blood testing, chest X-ray prior to the next office visit will also be provided. The patient will continue to receive outpatient physical therapy at the rehab center five days a week immediately after discharge. Weekly blood work and chest X-rays will be performed prior to being seen at the post-lung transplant clinic. Adjustments to the dosing of immunosuppression medications will be made during this time depending on the blood levels of these medications. The lung transplant recipient will be taking immunosuppression medications throughout their life to prevent rejection of the lungs. As they are on immunosuppression they lack the immunity to fight infections. Hence, we strongly recommend that they avoid infections. Friends and family members with a cold, cough and infections should avoid visiting the patient. In addition, the recipient should be very careful while in public places. Meticulous handwashing should be performed to avoid infections. The lung transplant recipient will also be taking antibiotics, antiviral and antifungal medications to prevent infections. Lung transplant recipients are expected to keep a log of their daily blood pressure, temperature, blood sugar and spirometry. This log will be reviewed at the weekly clinic visits. These logs will help the staff adjust the blood pressure, diabetes and immunosuppression medications. If the patient has satisfactory performance in the rehab center, the recipient is discharged home. Your frequency of clinic visits will decrease after the first three months. Bring your transplant folder with your logs of daily BP, temperature and spirometry to the clinic visit for the lung transplant provider to review. Blood tests, chest X-ray and spirometry will be performed before your visit to the clinic. Adjustments to your immunosuppression will be made based on the results of these tests. These tests will also be used to monitor kidney, liver, bone marrow and lung function. Patients are also tested for microaspiration with gastrointestinal studies that include esophagram, ph probe and manometry testing. You will continue to attend the Lung transplant pulmonary rehab at the rehab center five days a week for 12 weeks after your discharge. Your progress in the rehab center will be very closely monitored by the rehab experts and will be shared with the lung transplant team. This rehab is very essential in the success of your lung transplantation. You will have bronchoscopies after your discharge. Initially these bronchoscopies will be performed to clear mucus in the first few weeks after transplant. Bronchoscopies are performed in the bronchoscopy suite at one month, three months, six months, nine months and one year intervals after the lung transplant surgery. Bronchoscopy is an outpatient procedure. We request that you do not eat or drink after midnight and come to the bronchoscopy suite with an empty stomach. Your immunosuppression medications should be taken after the bronchoscopy. Patients who take insulin should hold their morning dose of scheduled insulin and take it after the completion of the bronchoscopy. You will need to have a driver who will drive you home after the procedure. Please arrive promptly at 8 a.m. and notify the bronchoscopy suite staff of your arrival. An IV will be started for administration of sedation medications. During these bronchoscopies, small biopsies are performed. These tissue biopsies will be reviewed with our pathologists under microscope to determine if there is any rejection. In case there is any rejection, which can happen in about 40-50 percent of patients, adjustments will be made to your immunosuppression. In some cases. Intravenous steroids could be administered to treat rejection. Incisional pain might be present for weeks to several months after surgery. The intensity of pain decreases over the course of several weeks. It is normal to perceive numbness at the incisional site for several months. The incisional pain might seem more intense somedays compared to others especially after the pulmonary rehab program is started. Avoid NSAIDS, as these medications might be harmful to your kidneys. You will be able to go back to your home after completing the post transplantation physical therapy. DO call the lung transplant coordinator if you have a fever greater than 100.5 Fahrenheit, shortness of breath, new cough, fatigue or decline in home spirometry. DO NOT come into contact with friends and family who are sick including persons with runny noses, colds, sore throat and a cough. DO NOT smoke or consume alcohol. You will be on antifungal medications after transplant. These medications are hard on the liver. Alcohol consumption might risk further insult to your liver. DO NOT lift more than 5 pounds in the first three months. DO wear a mask to the hospital and to all public areas after transplantation. DO shower but avoid soaking your chest wound. Avoid swimming and bath tubs for the first three months until the chest incision site heals well. DO NOT drive for the first three months. Your body is getting used to new medications like tacrolimus and valganciclovir which can decrease seizure threshold. You might be taking opiates to control pain. Hence, it is not safe to drive until cleared by your transplant doctor. DO NOT garden as this might expose your lungs to fungal spores. DO NOT drink or eat grapefruit juice as it interacts with medications. DO NOT have any dental procedures and cleanings in the first six months after transplantation. Take antibiotics two hours before dental procedure including cleanings. DO use sunscreen with SPF of 55 or higher when you go out in the sun. The medications that you take after lung transplantation increases the risk of skin cancers with sun exposure. Wear a hat and long sleeves in addition to the sunscreen. DO NOT participate in any strenuous activities like golfing, hunting and contact sports for the first three months, until the chest wound is healed. DO resume sexual activity when you are comfortable. DO NOT become pregnant. Medications that suppress immunity increase the chance of birth defects in fetuses. We strongly recommend birth control measures for men and women. Surgical methods like vasectomy and tubal ligation can be adopted. Barrier methods like male and female condoms should be used to prevent sexually transmitted diseases. DO NOT get a live vaccine. We also recommend that your immediate family members not get live vaccines either. You should receive the annual flu shot. This can be done at your primary care doctor’s office. We also that you get PCV 13 and PPSV 23 pneumonia vaccines, which are safe in lung transplant recipients. DO continue to exercise at home after you complete pulmonary rehab at the UF. DO inform your coordinator at least two weeks in advance before you run out of your medications. Some of these medications might require prior authorization which might take a couple of business days. DO inform your transplant coordinator before you take any new medication. Avoid herbal medications. DO avoid NSAIDS like ibuprofen, Aleve, Motrin, Celebrex and Toradol. These medications might be harmful to your kidney especially when you are taking tacrolimus. DO monitor your weight very closely after transplantation. Avoid gaining weight after transplantation and eat a healthy diet. Please talk to your coordinator in case you want to consult our lung transplant dietician. DO inform your coordinator if you notice any redness, swelling or drainage from the chest incision. DO NOT clean or empty litter boxes. DO NOT have reptiles or birds as pets. You will be getting blood tests at the UF Health Shands Hospital laboratories when you are in local housing for 12 weeks after your discharge. After you are discharged home, you will be required to identify a local laboratory such as LabCorp or Quest. Requests for your blood work will be sent to this laboratory in your local town. Results from you testing will be forwarded to your transplant coordinator. After transplant we recommend that you continue to get age appropriate health screening tests. We will collaborate with your local primary physician to enable this. For men this would include a regular prostate exam, PSA and a colonoscopy. For women this would be a PAP smear, breast examination, mammograms and a colonoscopy. As you are on immunosuppression medications like Mycophenolate or Tacrolimus, the risk of cancers is higher than the general population. We recommend that you obtain a Dexa scan and Vitamin D levels to screen for and treat osteoporosis. All lung transplant recipients are on prednisone at variable doses during their post-transplant life. This increases the risk of osteoporosis and fractures in both male and female lung transplant recipients. Our team will collaborate with your local primary care physician and/or endocrinologists in regards to this. Follow up with your local dentist every six months for cleaning. Take an antibiotic two hours before the cleaning. Avoid cleaning or other invasive procedure in the first six months after lung transplantation. Let your dentist know about your lung transplantation and medications that you take. Brush your teeth at least twice a day. The risk of skin cancer is high in lung transplant recipients due to combination of medications like azathioprine, mycophenolate and sun exposure. We very strongly recommend that you take measures to protect yourself. This would include using sun blocks with SPF 55 and higher, long sleeves and hats to protect yourself. Identify a local dermatologist who could examine your skin every six months to identify precancerous lesions. Keep your transplant team aware of the dermatologist’s findings. The success after lung transplantation depends on many factors. The key elements include taking your medications on time, getting blood tests when instructed to do so and calling your transplant coordinator promptly if you develop fever, signs of infections or a drop in your spirometer. It is very important that you and your caregiver have a very strong working relationship with your coordinator. We as a team will strive to provide you with the best possible care.